Elle joined in on the handmade fun this Christmas by making gifts for the grandparents and aunts/uncles. Even though we're past Christmas, it's an easy fun January project for little ones! I designed a calendar cover and printed one out on white card stock for each calendar we wanted to make. Elle colored pictures (she was in a turtle drawing mood at the time) on the back side of the covers, upside down, which became the picture for the month of January. I used a Microsoft Word calendar template that is one horizontal page per month and typed in federal holidays and family dates like birthdays and anniversaries. I printed out calendar pages for each month, put the colored cover on top and took them into Kinkos. They added a glossy black back cover, a clear plastic front cover, hole punched them (so you can hang it on the wall), and spiral bound them for $5 each. As Elle spends time with those family members, she'll color a new picture each month to add to the calendar so that they'll be able to see her progress over the course of the year. We had 3 Christmas parties to go to this year. It's especially nice to be invited to share such a momentous occasion with friends, so I like to make a handmade hostess gift to bring with us... something just a little more special than a bottle of wine... you know, something that requires a bit more thought. This year Martha did the thinking though... Martha Stewart that is. 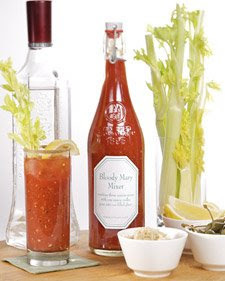 She made bloody mary mix on her show one day a few weeks ago. It looked delicious and I thought it'd be a nice Christmas morning follow up to the Christmas Eve parties we went to. I'd love to take credit for it, but this is Martha's picture of it. I did find those exact bottles at TJ Maxx, made Martha's recipe, and printed the labels from Martha's template, so the finished product did look just like that. I wrapped the bottle in a Christmas tea towel, stuck a pin in the bottom to secure it around the base of the bottle, and tied the tag around the neck of the bottle with a ribbon. We picked up a small bottle (not the airline size, but not full size) of Gray Goose vodka on the way to the party to give with it and had a thoughtful yummy hostess gift for under $20! I made quite a few Christmas gifts this year, but I also let other handmade crafters/artists do some of the work. I found some great gifts for friends and family, so it's show and tell time! 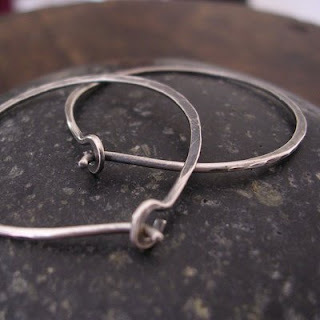 I drew my sister-in-law's name for Christmas, so she received this pair of silver hoop earrings from my very talented booth neighbor at a recent craft show, Modern Bird. 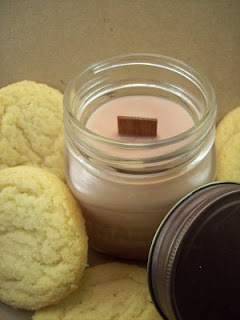 My SIL introduced me to these little treats, wood wick candles. They sound like mini fireplaces crackling away when you burn them! Smokey Mountain Scents made her this coffee scented one. My Doug drew my little brother's name for Christmas. 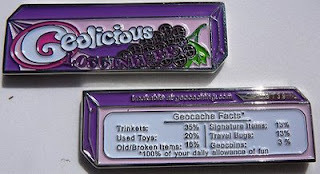 Marcus is into Geocaching, so my Doug hunted down this great little site, the Atwell Family, that designs and is involved in the production of custom geocoins. We picked out a few of their designs, and although I'm not exactly sure what you're supposed to do with them, they're pretty cool looking and I think my brother will get a kick out of them. I won this super cute "smappy" on Whosies and Whatnots blog giveaway. I never win anything and I couldn't believe my luck to win an adorable doll with a sling and baby none the less! It was a perfect stocking stuffer for Elle, and she absolutely loves her! 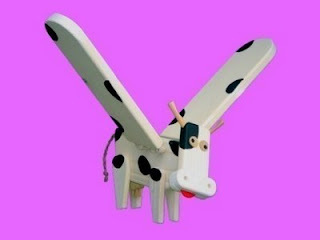 Also on Elle's list of handmade gifts received was a pink spotted flying cow from the Flying Zoo. She saw the Flying Zoo mobiles at the Handmade Holiday Bazaar and completely flipped out! She was so excited playing with them all, so Monika made her a special pink and white cow and we hung it up over her bed so she woke up to it Christmas morning. I took some video of her reaction, if I ever figure out how to move video from my camera to my laptop I'll post it. Elle affectionately named the cow Louie. And I treated myself to some handmade goodness in the way of a skinny scarf from Picasso's Moon who had a booth next to me at Atomic Holiday Bazaar. I'm only a little bit bummed that it hasn't been cold enough to wear it yet here in sunny Florida. I hope you had a wonderful season of giving and that handmade gifts will be on your getting and giving lists throughout the year! Handmade soaps not only leave your skin feeling fresh and pampered, they look lovely in your soap dish... much prettier than those pea green bars! 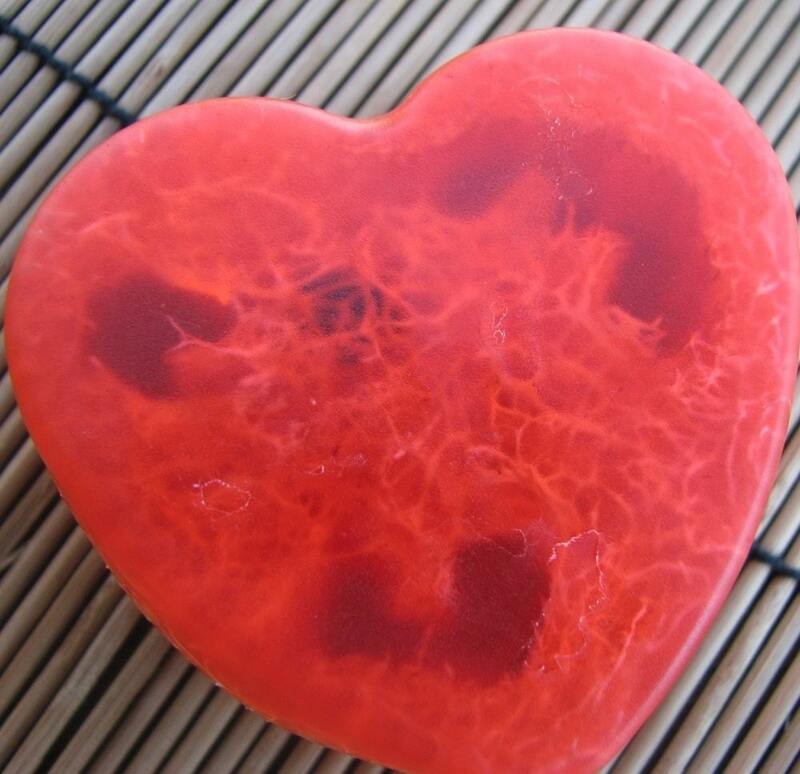 Handmade soaps make really wonderful gifts! I received a set of "sushi" soaps packaged in a take out container for Christmas 2 years ago and absolutely loved those! 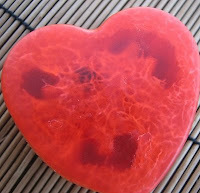 But my favorite use for handmade soaps is as party favors. I had some soaps cut in the shape of cupcakes made for favors for Elle's first birthday (since all the little ones were 12 months or younger, it was more for the adults), we had clear birthday cake scented soaps with black music notes floating in the center made for the adult favors for her 2nd birthday (I had separate favors for the kiddies), and we used bath fizzy's as favors at a Welcome to the World baby shower I helped plan. 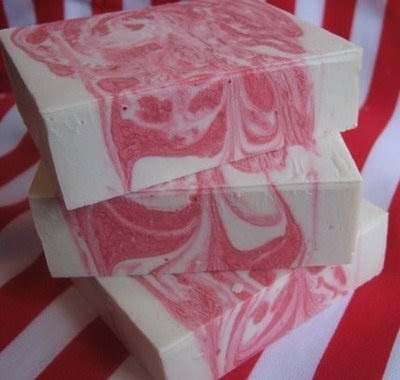 Spotted Cow Soaps is the shop for all things soap related. This Vermont crafter not only creates 100% pure and natural soaps, she has tons of products to choose from! Spend a minute browsing her shop and you'll find some limited edition soaps (the peppermint one sounds so refreshing... that's got to be my top pick! ), sugar scrubs that look good enough to eat, bath fizzies, body lotions, and even some soaps with a loofah submerged in the bar. Add this shop to your Etsy favorites for the next time you need a special handmade gift for the person in your life that deserves some pampering! that a law will go into effect on February 10, 2009 that will force Elle Belle and nearly all other handmade crafters of children and baby items to go out of business? My understanding of the Consumer Product Safety Improvement Act of 2008 is that it requires that all products (toys, strollers, clothing, diapers, slings… ALL products) intended for children under the age of 12 be tested for lead and other harmful contaminates. Once the product is found to be free of or within the minimum allowable level of contaminates, a certificate will be issued for all future runs of that particular product, and must be included with the product at the point of sale. Every material used in the product must be individually tested and every variance in color must be tested as well. For example, an Elle Belle embroidered sling would require testing on the fabric, the thread used to sew the sling, each color of thread used in the embroidered design, the rings, and the label I sew into the seem. If the manufacturers of the materials are required to supply a certificate for their item (like the rings from Sling Rings that I use in the construction of my slings) their certificate would not be sufficient for my use in certifying Elle Belle slings… every manufacturer must obtain their own testing and certificate for the completed product. The testing is to be conducted by a 3rd party and is expensive. I’ve seen estimates from other sling makers who have determined that the cost to test and certify just one sling would be between $300 and $2,500. If the law goes into effect, on Feb 10th, every non certified children’s product will be considered hazardous material and can not be sold. Anyone found selling uncertified items will be subject to excessive fines (I’ve heard as much as 100,000) and even potentially jail time. What follows is the open letter Etsy has written regarding this issue. I revised it just a bit to fit the perspective of it coming from me. You can just copy and paste it if you don’t feel like writing your own. This is an opportunity to see what a grassroots movement can do, and to be an active participant in our government. I am among over 200,000 artists, crafters and vintage collectors that sell their items on Etsy.com. Many of us make toys and other items for children. Made with love, care, the human touch and—often—all-natural materials, these items bring the consumer marketplace back to a personal level where customers can chat with toy makers and even create custom items for specific needs. Etsy members are part of a larger movement that seeks to creatively provide people across the globe with alternatives to mass-produced goods. Many of us will be forced to close our businesses on Feb. 10th because of the Consumer Product Safety Improvement Act of 2008. What follows is an open letter written by Etsy in hopes that something can be done to ensure that small businesses and micro enterprises are being taken into account with this legislation. Many Etsy sellers are work-at-home-moms and dads. Among them are crafters with the skill and heart to preserve traditions of toy-making or to innovate their own methods of making children's items with a DIY (Do-It-Yourself) hands-on philosophy. You can meet an Etsy toy maker and seller by watching this five minute video portrait (all of our videos are published under open Creative Commons, so please feel free to repost). Amber Dusick, aka woodmouse.etsy.com and Los Angeles-based toy-maker/work-at-home-mama, is an artist who would be impacted by this proposed legislation if it is enacted. Amber uses sustainably harvested woods, non-toxic paints and beeswax along with her wood-burning tool to create simple, natural wooden toys. Her imagery is reminiscent of a child's crayon drawing come to life in wood. Amber, like other Etsy toy makers and sellers, is fearful that as a sole proprietor she will not be able to afford the stricter regulations of the Act; the cost of testing and certification is likely beyond her means. She told Etsy, “I'd be more than happy to have each of my toys tested, if it wasn't so cost prohibitive. It is the COST involved in testing that will shut us down, it isn't that anyone refuses to have their work tested." The Small Business Administration defines "small business" as under 500 employees. Most of our Etsy members are either sole proprietors or maybe a family or studio of friends working together. Many craftspeople on Etsy have told us that they could be put out of business if forced to comply with the proposed legislation. This is the painful irony bound up in the CPSIA. Our members would like to better understand how the CPSIA took into account these smaller businesses operating with fewer resources for testing and compliance. We believe Etsy artisans are pro-testing and pro-safety; the problem is the prohibitive certification costs relative to their small businesses' incomes. Our community is concerned that this legislature disregards small businesses in its attempts to regulate large corporate entities. The U.S. House and Senate passed the Consumer Product Safety Improvement Act of 2008 (the CPSIA), and on August 14, 2008, President Bush signed the Act into law. Further information on the Act is available at the CPSC website at http://www.cpsc.gov/ and helpful FAQs are located http://www.cpsc.gov/about/cpsia/faq/faq.pdf. I really love this idea for a cutesy thoughtful gift! My Doug says it's a little kooky... but I think that's because he is a native Floridian and didn't grow up in IL (a.k.a. the frozen tundra) like I did. He has never been awoken in the middle of the night by the pain of toes so cold they've turned white and threaten to fall off like little chunks of ice. He's never, in his sleep, wrestled with mounds of blankets to get sweaty wool socks off his feet. If he had, maybe he would appreciate the warm... but not too warm... comfort of a hot water bottle at the foot of his bed. I will admit though that there are a couple hang ups with grandma's hot water bottle. For one, that big lump of pink rubber is just sort of creepy looking for some reason, and secondly rubber is not exactly cuddly. Problem solved! 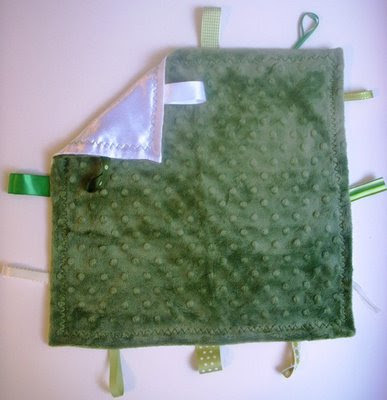 I made this cover for a hot water bottle with scraps I had in my studio. The outside is Minky (if you're not familiar with Minky you MUST ask your crafty friend who has a baby. She'll know all about the softest/can't put it down/cuddliest fabric ever! 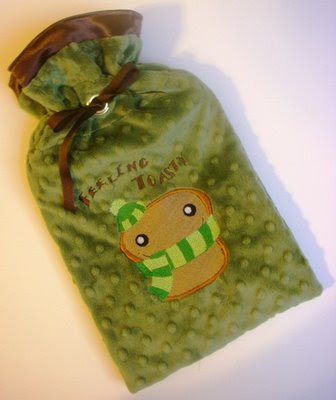 ), it's lined with satin, and I embroidered that adorable bundled up toast design from Urban Threads on it. Maybe I'll let my Doug try it out when the temperatures finally get below 50 around here... maybe! 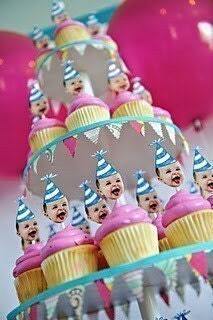 To all my bloggy friends, you would make my cut... I'd totally spend 42 cents on you if I had your address! Thank you for reading my ramblings so that I'm not just out here talking to myself. 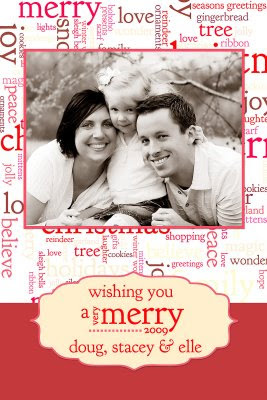 I hope you'll have a fabulous holiday and an even better 2009! BROOKE OF THE "LIVING MY DREAM" BLOG, COME ON DOWN! I used a random number generator thingie and it picked the comment # that matched with Brooke's comment. 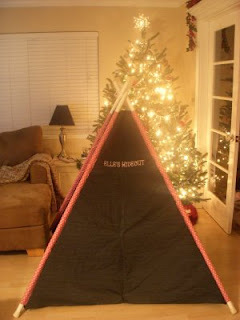 Congratulations Brooke, you won the Elle Belle Original Tag Blanket! Thank you all for stopping by to leave a comment. I know there were a ton of blogs to visit and I appreciate that you took that extra effort to check out my shop! I hope you'll be back when you need something for the little ones in your life and that you'll visit my blog every now and then. Welcome Sew Mama Sew visitors (and my usuals of course too)! I'm hoping to make it a bit easier to add some handmade goodness to your holiday, so I'm participating in the Give Away Day and giving away this Minky satin crinkle corner tag blanket. All you have to do is check out my Etsy shop and leave a comment here on my blog about your favorite Elle Belle item. I'll pick a winner at midnight tonight and post it here. Good Luck! I went with a light weight dark denim for the big pannels. JoAnn's was having thier black Friday and Saturday sales, so I had to wait in line forever, but it was 50% off + another 20%, which adds up when you have to buy 4 1/2 yards! The support rod pockets are a cutesy polka dot fabric. 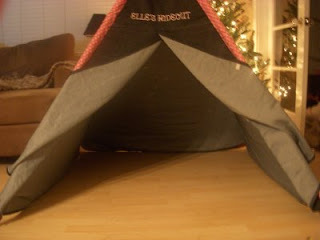 I embroidered "Elle's Hideout" in light pink across the top of the door and there are two little velcro closures to keep the door closed. It's pretty large, there's about a 4' x 4' square of space inside... plenty of room for a couple stowe aways. I still have some work to do on the PVC supports. The pattern I have says to "wipe away the ink on the PVC tubing with acetone" The only acetone I know of is in nail polish remover, so I gave that a go with no luck. Even if I could get the ink off though, the rubber caps on the ends are off white, so the white tubes with off white caps would bug me anyway, so I'm working on another solution. My Doug suggested that we use plastic paint to paint the PVC, I may go that route, but I was also thinking colored tape, like what they use on hoola hoops, may be a little easier than paint??? Or I could make little fabric sleeves for them, but that seems like more work than necessary. What do you think?